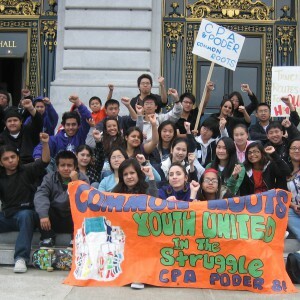 The Common Roots Youth Organizer Program is a joint project between PODER and the Chinese Progressive Association (CPA) aimed at uniting young Latino and Chinese immigrants in San Francisco. Our goal is to build grassroots power and explore the common experiences and aspirations between these two historically segregated, working class communities. Equip low-income youth of Chinese and Latino descent with the skills to effectively address critical issues facing their communities such as affordable housing, toxic pollution and the lack of resources. Develop a model for cross-cultural youth leadership in southeast San Francisco’s working class Chinese and Latino immigrant neighborhoods. Develop political awareness, leadership skills and enhance the self-esteem of Latino and Chinese young people in San Francisco. Strengthen CPA’s and PODER’s on-going organizing campaigns geared at creating institutional change and implementing policies that support working class communities of color. 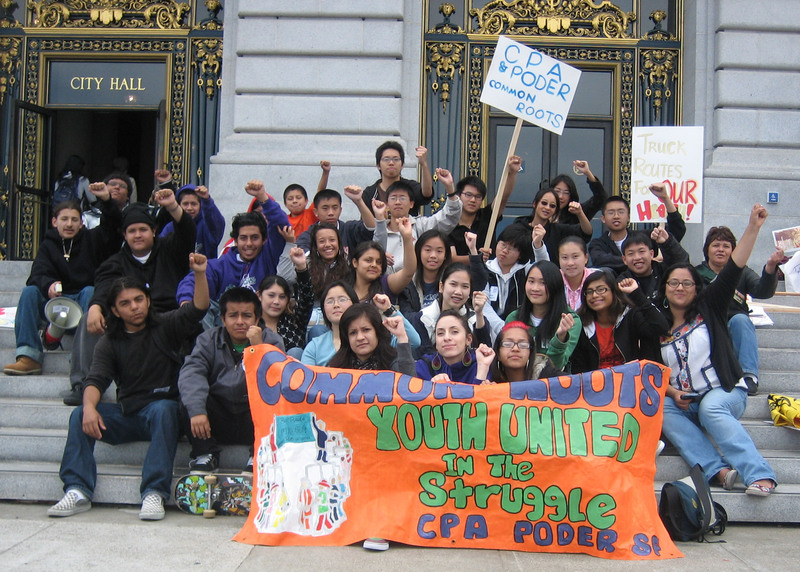 We recruit 12 youth organizers and 20 program interns to join our yearlong Common Roots Youth Organizer Program from schools and community centers and through word of mouth, each spring. Youth range from 15 to 18 years old and live, work, go to school, play or pray in southeast San Francisco. The program interns participate in weekly education and skills workshops and participate in campaigns. Youth organizers play a leading role in facilitating these workshops, planning actions, conducting outreach, developing and researching campaigns, raising funds from community members and developing leadership skills among their peers. “PODER’s Common Roots program came to me when I needed it most. It helped me shape my teenage identity and solidify what I wanted out of life,” says youth organizer Edgar Molina. To find out how you can become a Common Roots organizer or intern, contact us.